Eid al-Fitr is an important religious holiday celebrated by Muslims worldwide that marks the end of Ramadan, the Islamic holy month of fasting. Eid al-Fitr means “Feast of Fast Breaking” is special day of all muslim. 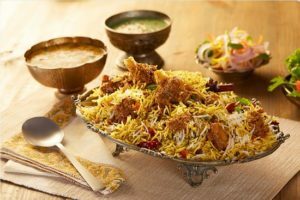 Food is a staple of the Eid celebration, as families and friends come together to enjoy an elaborate and exquisitely prepared feast in each other’s company. 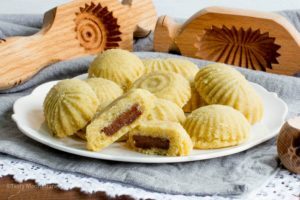 Maamoul are ancient cookies without those Easter & Eid are incomplete in Middle East. Maamoul are stuffed with date paste or chopped walnuts or pistachios, and dusted with powdered sugar. These buttery cookies are the perfect gift after a month of fasting during Ramadan or Lent. 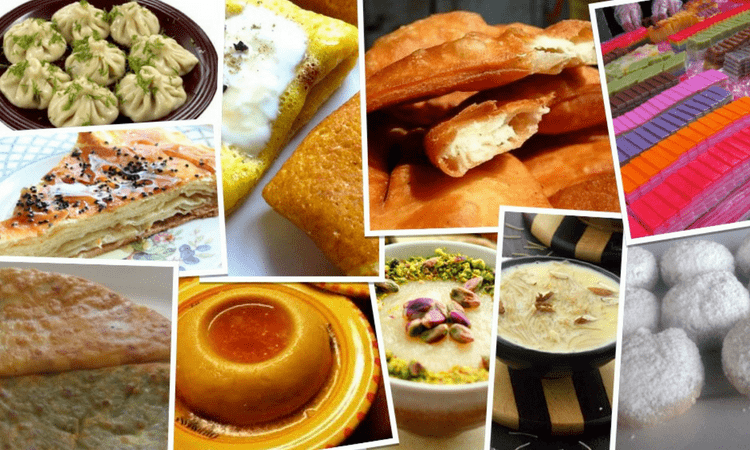 Sheer Khurma is originaaly from Central Asia, specially made on Eid al-Fitr. 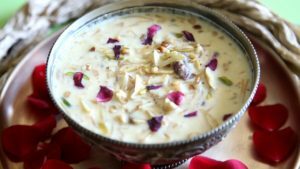 There are different variations of Sheer Khurma but the most important ingredients are milk, vermicelli, dried dates and sugar. This rich, creamy dessert has a lot of dry fruits and also coconut. One of the main dishes from main course on Eid is Biryani. It is made in varieties in different region. Till it takes long time to cook it gives amazing flavours after. 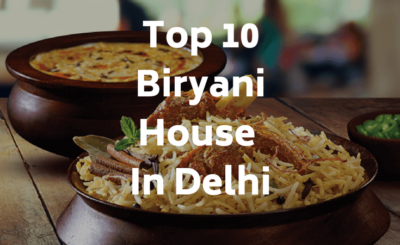 Biryani is worldwide famous dish. 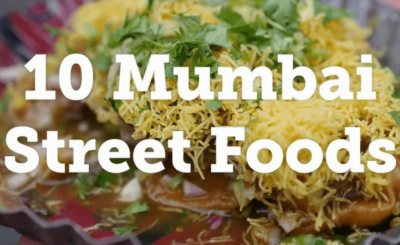 It contains mainly rice and chicken & mutton. Bolani is a traditional Afghani flat-bread baked or fried with a vegetable filling. 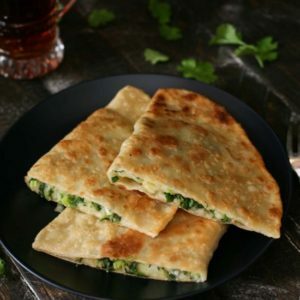 It has a thin crust and can be stuffed with a variety of ingredients, such as potatoes, lentils, pumpkin, chives or leeks. Lokum is made with citric acid, sugar, starch, food color and aroma. 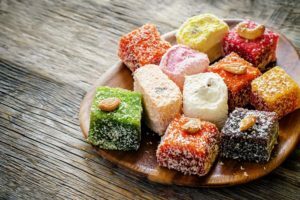 It was known as Turkish delight as it was originated in Turkey. It is the best gift for kid and adults as well during Ramdan. Cambaabur is special Eid food. It looks like plane Dosa. 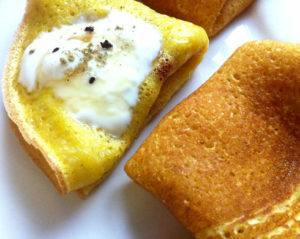 It is fermented crepe like pancake, flavoured with saffron, turmeric, cumin, onion, garlic, and chilli. It is eaten dipped in yoghurt. It is usually drizzled with melted ghee and a sprinkle of sugar. 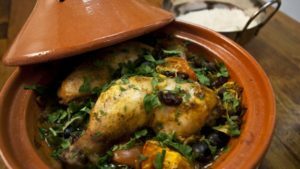 A tajine or tagine is a Maghrebi dish which is named after the earthenware pot in which it is cooked. This dish is from North Africa. There are different ways to cook Tajine. Tajine is often eaten with French fries, either on top or on the side. People from Arabian Peninsula added dry fruits to this dish like dates, apricots, plums to give it unique taste. 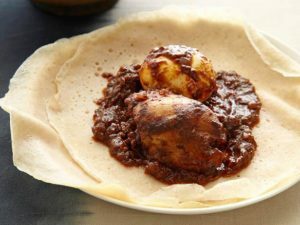 Dora wat is special dish from Ethiopia. It is one of the most popular African dishes. You will find this dish in almost every restaurant in Ethiopia. Dora Wat is traditionally very spicy. Main ingredients use to make it are Chicken, Meat, Spices, vegetables, Kibbeh, Niter. It is slowly cooking dish. Tufahije is a Bosnian dessert made of walnut-stuffed apples stewed in water with sugar. 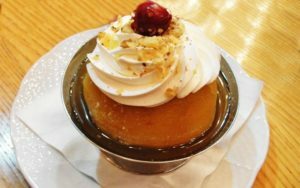 Tufahija is served in large glasses with their own glazed syrup and whipped cream on top. On the occasion of Eid, this is a good combination after a heavy meal. 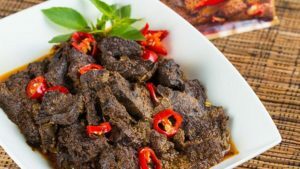 Beef Rendang is spicy meat dish from Indonesia. Beef Rendang is a flavorful West Sumatran dry curry that is made with beef, that’s cooked together with a spice paste and coconut milk until fork-tender. 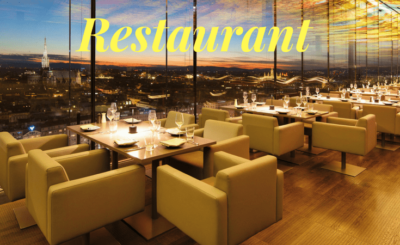 It is rich dish which is easy to cook but takes time and patience to slow cook.